About – Caitlin Frances Bruce, PhD. I am an Assistant Professor of Communication at the University of Pittsburgh. A lot of my interest in art, space, emotions, and cities comes from my background: I grew up in New York and worked for my parent’s not-for-profit theater company, Moose Hall/Inwood Shakespeare Festival. In Inwood Hill Park and on the streets of upper Manhattan I learned about the triumphs and trials of making public work. I received my PhD. from Northwestern University in Communication Studies, and was trained in the rhetoric and public culture program. While in Chicago I wrote for the Sixty Inches From Center collective. My research follows the political possibilities of public art in urban space in transnational contexts. I’ve done fieldwork in the U.S., Mexico, Germany, and France. 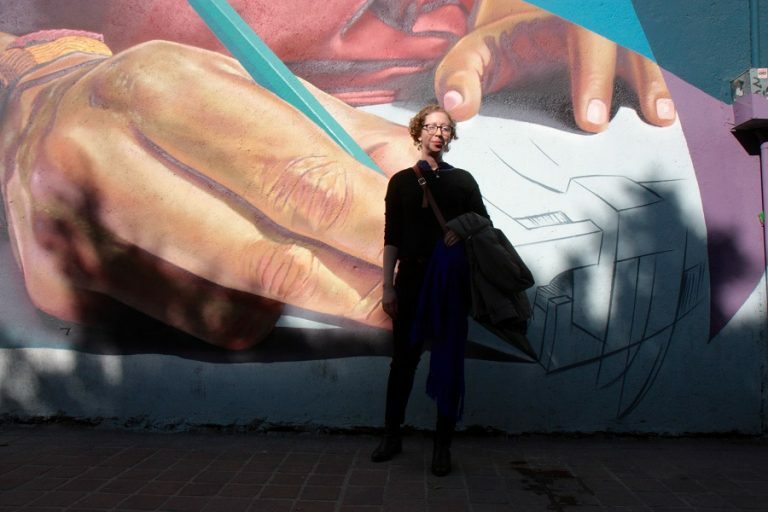 Thanks to the Paris Program in Critical Theory at Northwestern I spent my last year in graduate school in France, and thanks a Fulbright-Robles García Postdoctoral Fellowship, I was able to live in Mexico for 7 months. 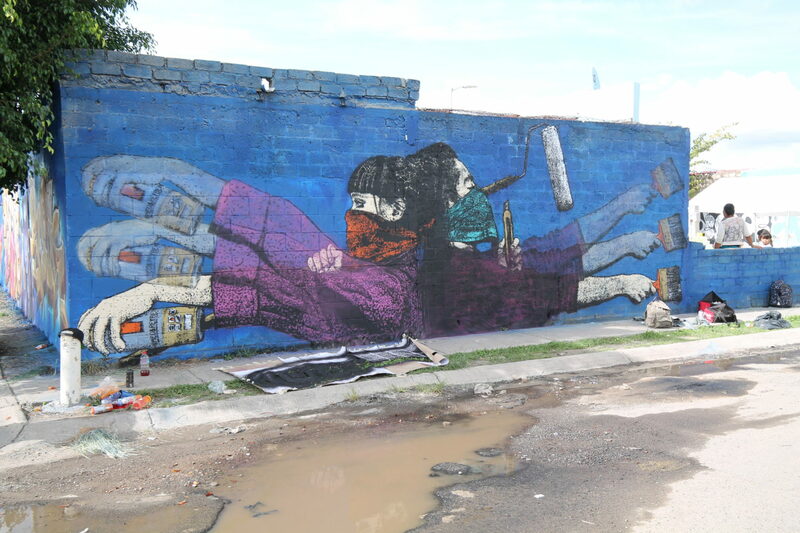 This kind of immersion shaped my book-length projects which explore, from different angles, what happens when global graffiti practices are situated in legal contexts. In front of Victor Ayala Kart’s mural in León Guanajuato. 2018. Photo by Luis M. López.